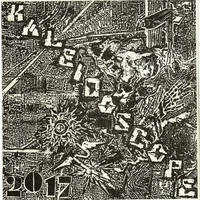 KALEIDOSCOPE 2017- A 7'' RECORD WRITTEN AND RECORDED IN 2017, BROUGHT TO YOU BY D4MT LABS INC.
"We are pleased to present you with our latest offering, brought to you on vinyl by ourselves for the very first time. 3 songs written and recorded on the heels of the Volume 3 12'' in 2017, an effort conceived to sharpen and clarify the nature of our mission. What goes on all around us is too horrifying to pass without comment. These are the sounds of a disturbed conscience, of our anger and our fear." 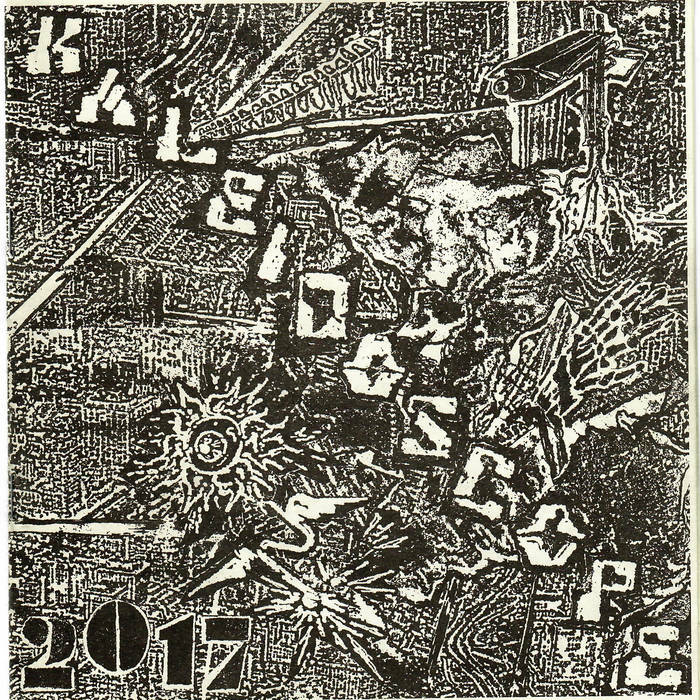 ALL MONEY FROM DOWNLOADS OF THIS EP (https://d4mtlabsinc.bandcamp.com/album/kaleidoscope-2017-7) WILL BE DONATED TO THE CORRECTIONAL ASSOCIATION OF NEW YORK, AN ORGANIZATION DEDICATED TO ADVOCACY FOR PRISONER'S RIGHTS AND CRIMINAL JUSTICE REFORM IN NEW YORK SINCE THE 19TH CENTURY. comes with a risograph printed booklet as the cover/lyrics sheet/insert!